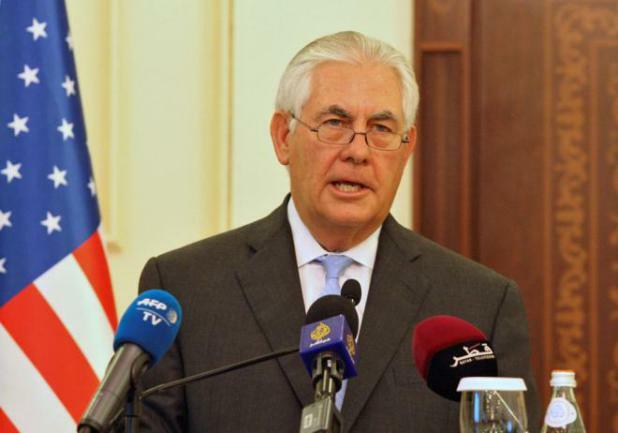 Secretary of State Rex Tillerson plans to depart for Pakistan late this month. WASHINGTON - President Donald Trump will dispatch his top diplomatic and military advisors to Pakistan in the coming weeks, turning up the heat on a nuclear-armed ally accused of harboring terror groups. Weeks after Trump angrily accused Islamabad of providing safe haven to "agents of chaos," Secretary of State Rex Tillerson plans to depart for Pakistan late this month. He will be followed by Secretary of Defense Jim Mattis, according to US and Pakistani sources. The one-two punch is designed to drill home Trump's message that Pakistani state support for jihadist groups has to end, according to officials briefed on the visits. Washington has long been frustrated by Pakistan's willingness to offer cross-border safe havens to Taliban factions and armed Islamist groups fighting US troops and their Afghan allies. The relationship reached the breaking point in 2011, when president Barack Obama sent commandos into Pakistan in 2011 to kill Al-Qaeda leader Osama Bin Laden, who was living in a military garrison town. With little change since then, Trump came to office indicating that Washington's frustration had reached the point where something had to give. "We have been paying Pakistan billions and billions of dollars at the same time they are housing the very terrorists that we are fighting," he said an August address. But in the six weeks since Trump signaled that tougher tone, there have been precious few signs that the calculus in South Asia has changed. Mattis told Congress this week that he will try "one more time" to "see if we can make this work." "To this point, we have not seen any impact on military-to military-relations," said one Pentagon official, suggesting any change would not happen after Mattis' visit. Visiting Washington, Pakistan's foreign minister Khawaja Asif appeared unwavering. He lashed out at "hollow allegations" about Pakistan harboring terrorists as "not acceptable." "That is not the way you talk to 70-year-old friends," Asif said bitterly. "Instead of accusations and threats we should cooperate with each other for the peace in the region," he said while confirming Tillerson's visit. While professing anger in public, Pakistani officials in private complain about receiving no concrete requests to target the Haqqani network or other groups. US officials have been reticent to share some intelligence for fear of tipping off targets with links inside Pakistan's government. Earlier this month a US drone killed three suspected militants in an attack on a compound in Pakistan's tribal region. Pakistani officials also complain of receiving mixed messages from the Trump administration, which is still struggling to find its feed under a mercurial commander-in-chief. A September meeting in New York between Vice President Mike Pence and Prime Minister Shahid Khaqan Abbasi was said to be cordial, despite Trump's fire and brimstone rhetoric. "It was a very good meeting with the vice president," said Asif. After that, Pakistan officials said, they were surprised at a tougher tone outlined in public by Mattis and in private by Trump's National Security Advisor HR McMaster. Some optimists point to a visit by Pakistan's army chief to Kabul as evidence that Islamabad is moderating, after years of support propping up the Taliban. But many, having watched this debate for decades, are less convinced. The Taliban and groups like Lashkar-e-Taiba, they argue, remain a potent tool in the hands of Pakistani intelligence. "Of course they don't get the message" said Christine Fair, a South Asia expert at Georgetown University. "Pakistan is not going to do anything different than its already doing unless the administration can figure out a way to do what no administration has previously done." "That is basically to call Pakistan's bluff and impose some meaningful punishment." Trump has warned that military aid -- which halved between 2012 and 2016 -- could be cut further, a move that Fair dismisses as insufficient. "It's basically saying that we're going to cut back the money the US taxpayer is giving to Pakistan" she said. "That's not punishment. Pakistan is not entitled to our money. What they are really talking about is giving Pakistan less of an allowance." Policy makers have considered revoking Pakistan's non-NATO ally status, with deep symbolic but limited practical impact. Punitive economic sanctions -- that could force Pakistan closer to Turkey, China or Russia -- seem a long way off. And Pakistan remains vital for the United States as a route to resupply its forces in Afghanistan and for supplying the Afghan army. President Donald Trump will dispatch his top diplomatic and military advisors to Pakistan in the coming weeks, turning up the heat on a nuclear-armed ally accused of harboring terror groups.